at Iron Lakes Golf Club. Select Club Photo Gallery on left to see pictures taken at the Golf Tournament. We wish them both the best of luck in their future endeavors! Both recipients submitted their first semester transcripts and the scholarships have been awarded. Both did very well and we wish them the best of luck. The club is always looking for new members! Any Parkland graduate who played a sport in high school is welcomed and encouraged to join. Associate members are also welcomed. The club's goal is to support Parkland Athletics, provide scholarships for athletes, and to create a group for alumni to reconnect. Our meetings are very relaxed and social and include food and drinks. Check out our mission statement, grab a few old friends, look at the membership application (link located on bottom of page) and join today! Interested members are always welcomed to attend a meeting to learn more! Parkland is now one of only seven PIAA schools in the last 12 years to win three team state championships in one school year. Congratulations to Girls' Volleyball, Boys' Volleyball, & Softball on the impressive feat. Meeting minutes can be found on the "Newsletter" page on the website...... Click link on the left. The Parkland Trojan Alumni Varsity Club is an organization formed for the purpose of promoting and encouraging participation in and support of extracurricular athletic activities for boys and girls in the Parkland School District. 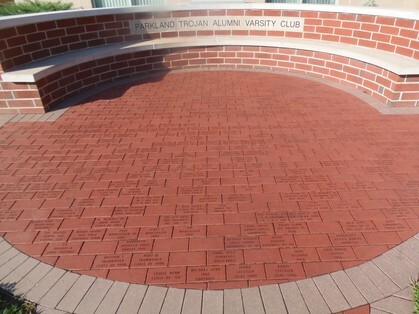 The Parkland Trojan Alumni Varsity Club establishes and provides educational scholarships for student athletes, advances the social and physical improvements of all students, provides support for various school-related activities and promotes camaraderie for all Parkland School District athletes and friends. Personalized Memorial Bricks are available for purchase and installation at this memorial and may be ordered through the club. See order form below. 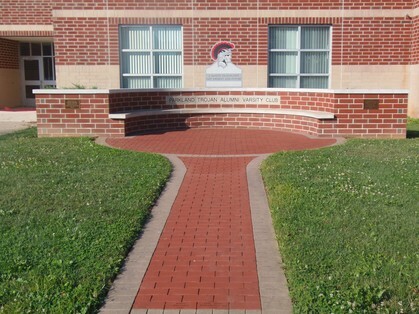 New bricks are installed once a year during a none school month. 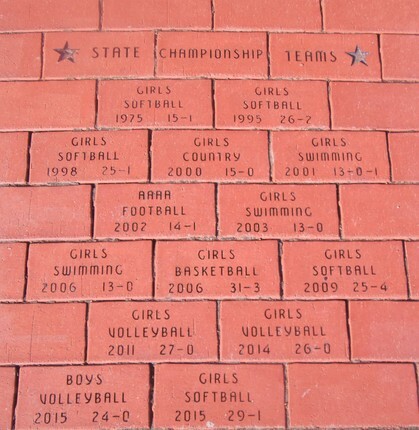 The club will automatically install a brick for any team who wins a state championship. Thanks to Delaney Hershey, Administrative Assistant to the Club Secretary, for preparing the Newsletter and Club Meeting Minutes.